Analysts awaited key macroeconomic data such as inflation and industrial production due later this week. 1. 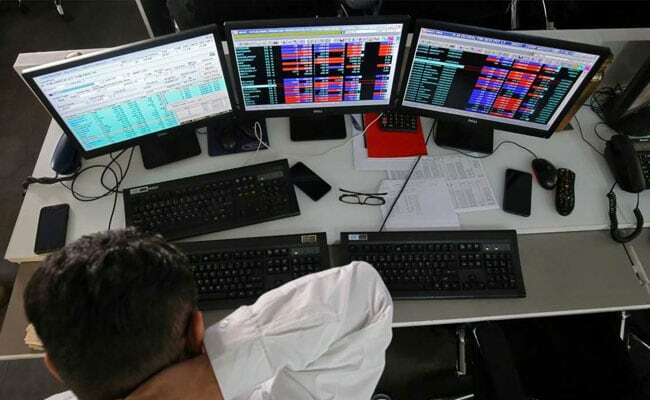 At 1:36 pm, the Sensex traded 188 points lower at 36,358 while the Nifty was down 64 points at 10,879. 2. Top laggards on the 50-scrip index at the time were Dr Reddy's Laboratories, Hindalco Industries, Vedanta, Mahindra & Mahindra, ONGC and GAIL, trading with losses of between 2.7 per cent and 6.5 per cent. 3. The Nifty Auto index - comprising automobile stocks - shed as much as 1.7 per cent. Prominent losers in the sector included Eicher Motors and Ashok Leyland. Hero MotoCorp declined as much as 4.6 per cent. 4. The government is due to release consumer inflation data for the month of January on Tuesday. While industrial production data will be released on the same day, wholesale inflation data is due on Thursday. 5. According to a poll of 30 economists by news agency Reuters before last week's RBI meeting, consumer price inflation likely accelerated to 2.48 per cent in January. If the projection comes true, that would mark the sixth straight month in which inflation stood below the central bank's medium-term target. 6. On the other hand, buying in IT stocks provided some support to the markets. The Nifty IT index rose as much as 0.7 per cent in morning. 7. Equities in other Asian markets traded lower amid worries about global growth and the US-China trade war. Chinese shares see-sawed on Monday after they resumed trading following a week-long Lunar New Year holiday. The blue-chip index was last up 0.4 per cent, Australian stocks were down 0.6 per cent while South Korea eased 0.2 per cent. 8. That left MSCI's broadest index of Asia-Pacific shares outside Japan off 0.1 per cent after it was toppled from a four-month top on Friday. Trading volumes are expected to be light with Japan on public holiday. 9. Investors are now looking ahead to trade talks this week with a delegation of US officials travelling to China for the next round of negotiations. 10. Meanwhile, the rupee edged higher against the dollar in early trade to touch 71.22, extending its gains to a fifth session in a row.